A dash of liquid smoke brings out a smoky depth to this Bloody Mary unmatched by any. Be bold, be a little smoky. The pickled okra is another differentiating factor to this fresh-squeezed Mary, it adds a delicious pickled counterpoint to the savory juice. Process all ingredients in a juicer. Pour into shaker with ice, add vodka. Shake. Pour into glass. Add celery and pickled okra as garnish. Serve. Enjoy! 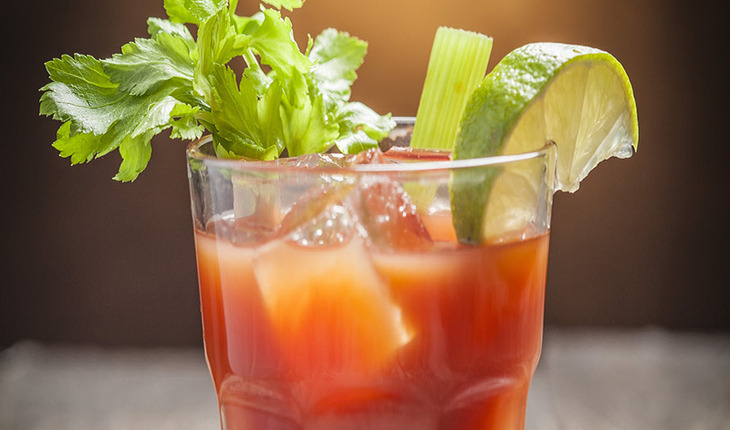 Tito's Vodka is an excellent small-batch choice for this Bloody Mary.